Here at Axess 2, we’ve been pretty busy recently designing and installing lifts for our huge variety of clients. We love the fact that one day we could be working in a hospital and the next in a high end clothes store – it keeps us on our toes! We recently worked with quirky, yoga-inspired fashion brand, Lululemon. You can read more about our story with them here. So, as you can see, we have the honour of working with some incredible companies, and one of our latest was absolutely no exception. It all started when we were approached by an architect who was in the market for one of our fantastic lifts for a brand new shop in London, and of course, our answer was yes – always happy to help! But little did we know then exactly who we would be providing our expertise for. In case you weren’t already aware, Dsquared2 are an incredible fashion brand that just doesn’t seem to want to stop growing. Willowdale, Toronto is the birthplace of the brand created by identical twins Dean and Dan Caten, who just keep going from strength to strength with their popular clothing line. It’s pretty safe to say that Dsquared2 have well and truly made it in the US, so now, their next mission is to make their mark here in the UK. 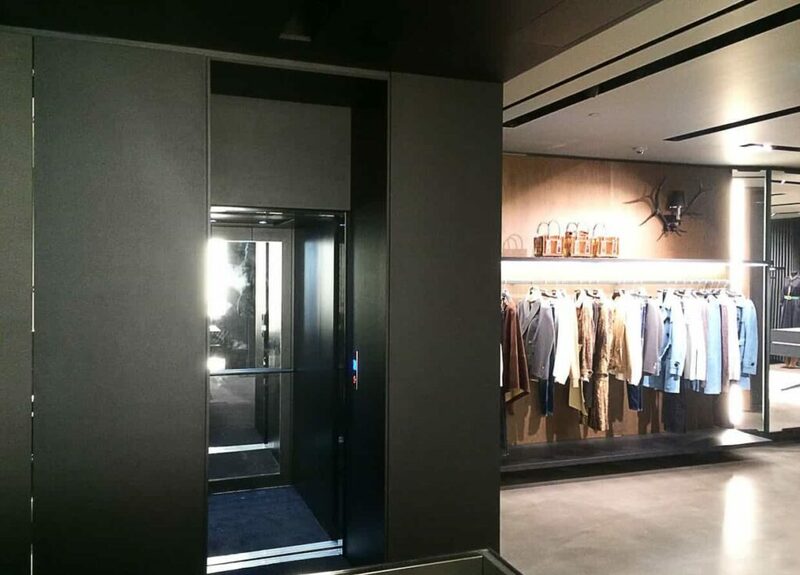 If you were to walk into the new luxury London Dsquared2 shop, not only would you get to visit an exclusive Axess 2 lift, you may also end up rubbing shoulders with A-listers who can’t get enough of the brand. The likes of Elizabeth Hurley, Rihanna and Christiano Ronaldo have been spotted wearing Dsquared2 designs, and the Caten brothers have been papped hanging out with the cream of the crop of the celebrity world. In other words, these guys are a pretty big deal! After having agreed to design and install a lift for a shop whose owners we were unaware of at the time, we got to work creating something that would meet the specific requirements of our client. Not only were there size requirements, as with all lifts, we were also asked to design an installation that would perfectly fit in with the look and style of the shop space. So that is exactly what we did! We provided our client with a 3 stop Leonardo Traction Lift with a travel distance of 8935 mm and headroom of 2700mm. It featured a black cabin and black telescopic sliding doors. 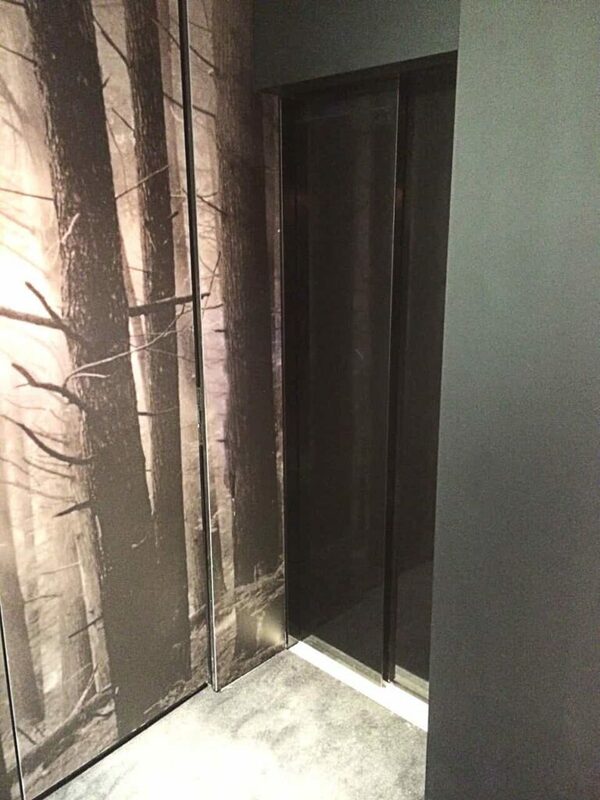 All in all, the lift we provided was a stylish and sleek instalment that we were able to fit in with the already decided layout and look of the store. We are particularly proud of the work that we do, and we are thrilled to be able to provide our services to such a vast range of industries and clients, whether they are a high end clothing line or a fast food chain. We offer a huge range of products, and if those aren’t the perfect fit we can even provide made-to-measure lifts, exclusively designed just for you. So, whether you are looking for access lifts, goods lifts or platform lifts, we are the first choice. If you would like to know more about any of the products or services we can provide for you, please don’t hesitate to get in touch with us by calling 01200 405 005 to speak to a member of our friendly and expert team.